Ok, got a fair bit done on this today, done loads of re-work. Doors have all become 6" narrower, making them 3ft wide now which seems far more accurate. 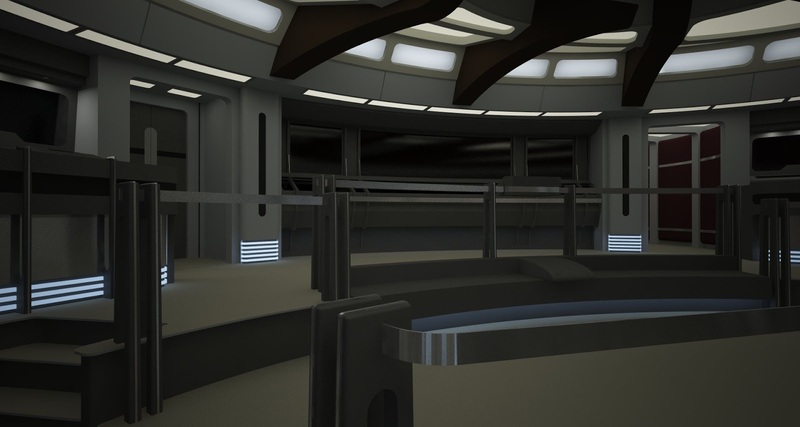 Also re done the turbolift area next to Tuvok's console. The console between the chairs has gone in, and I've also done a fair bit more to Tom's console too, but that's far from finished yet.